The Falls Resort at Manuel Antonio is a refreshing new approach to luxury accommodations in Manuel Antonio. The resort is surrounded by lush tropical gardens and waterfalls, providing a serene environment and splendid views. White faced capuchin monkeys, sloths, toucans, and the endangered titi monkeys frequent the trees overhead, while blue iridescent morpho butterflies and hummingbirds bustle about the garden. The Resort offers a large swimming pool, restaurant with bar and Spa services. 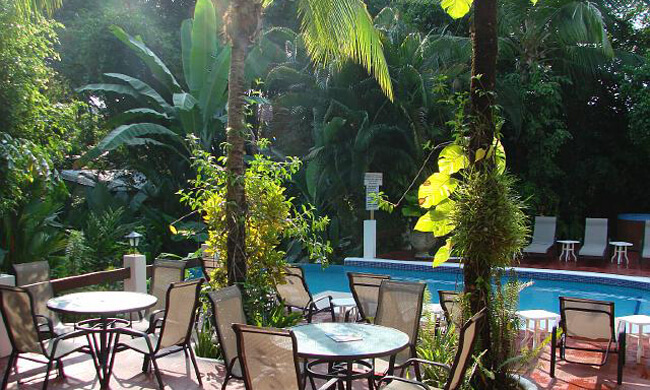 It is also conveniently located within walking distance to several other restaurants, bars and just minutes to Manuel Antonio’s beautiful white sand beaches. 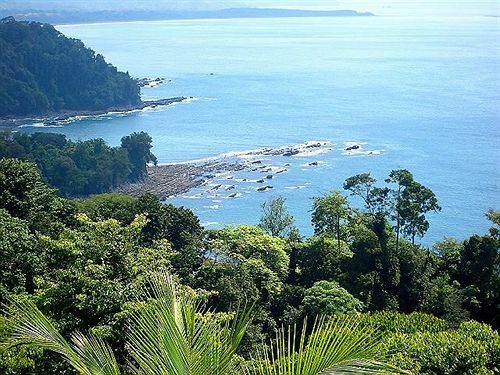 Manuel Antonio has become Latin America’s number one tourist destination with more than 800,000 visitors annually and serves as a starting point for virtually every tourist visiting Costa Rica. With the natural beauty and activities being the obvious draws to the area, perhaps the greatest reason for Manuel Antonio’s popularity and more importantly, its longevity, is the breadth of services available here. Countless international restaurants, a full service hospital, 10+ daily commuter flights to San Jose, six car rental agencies, high speed internet connections, solid infrastructure both within the community and the roads leading to it, cellular phone service, spa facilities, a selection of banks, ATMs, shops, art galleries, and other stores make this place an exotic, yet comfortable place to visit or live. Each suite at the Falls Resort has been designed for your absolute comfort featuring large rooms with terraces, large showers, cable television, a mini bar and comfortable sitting areas. All beds are fitted with luxury cotton sheets and bed spreads.